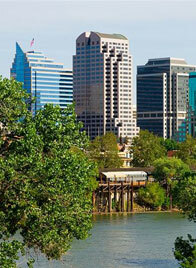 Barbara Aved Associates (BAA) is a Sacramento-based consulting firm specializing in evaluation, strategic planning, and capacity building for public and private organizations. Established in 1986 by Dr. Barbara Aved, BAA has completed close to 100 projects, taking us to nearly every county in California. The primary focus of our work is to improve health outcomes for diverse populations, particularly underserved and high-risk families. With specific expertise in community health, oral health, women's health, early childhood development and public policy, we've developed clinical guidelines and public health practice standards and published papers. We have reviewed proposals and developed RFPs, funding formulas, and grantmaking strategies for funders. We are skilled at using both quantitative and qualitative methods to evaluate program accomplishments, assess needs and barriers, and analyze organizational capacity. We access traditional data sets and create new ones from the surveys, interviews, and focus groups we conduct. BAA views its projects as opportunities to help clients meet objectives, set priorities and make measurable differences. We value culture, inclusiveness and participatory approaches, as well as the importance of wide dissemination and practical application of what we learn. Efficient project management, a results orientation, timely delivery of promised products and strong problem-solving and writing skills define the core strengths of our firm. BAA partners with other experienced consultants and firms when additional capacity or expertise is needed and can bring further value to a project. Barbara and her excellent team worked with our organization to help us improve the sustainability of the organization. The results were, in a word, remarkable. They've helped us turn a corner to make better decisions, improve processes, and run our operation more efficiently. They had absolutely the right expertise to bring to the project. Barbara Aved Associates delivered not only an excellent product but presented the final results to the County Board of Supervisors to start action on the recommendations. She gave us the quality data we needed to start improving dental access for children and families. Barbara is one of the most skillful interviewers I've come across…..she really understood what was important to ask. What a pleasure it is working with Barbara Aved Associates. I have found Barbara to be very detail oriented, conscientious about deadlines, knowledgeable in her field, and exudes professionalism in all avenues. One of the attributes that I most appreciate is her ability to explain the complex world of data in terms that I can understand.